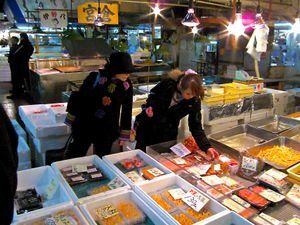 Japan’s principal food is still rice and fish. 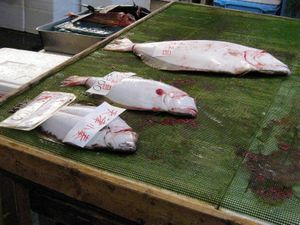 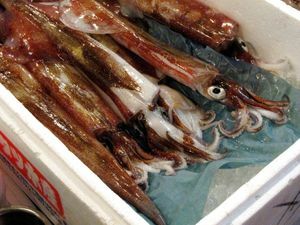 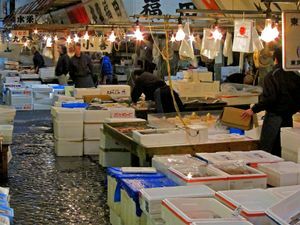 Sea fish reaches Tokyo area (40 million people) through the gigantic hub of Tsukiji fish market located near the Ginza shopping district. 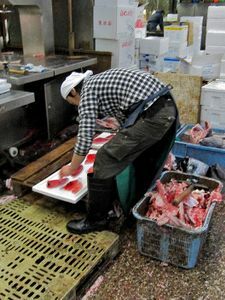 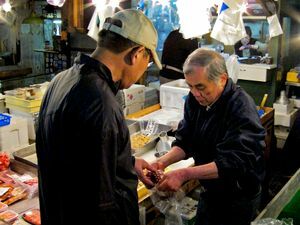 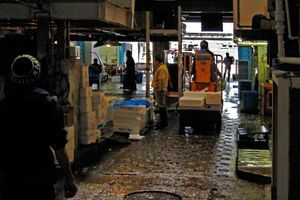 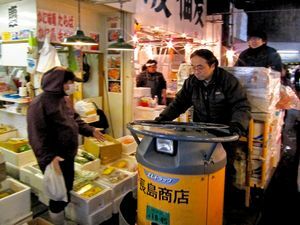 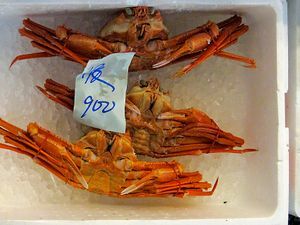 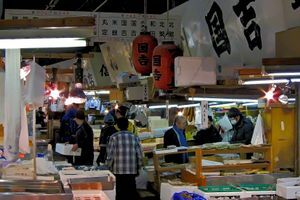 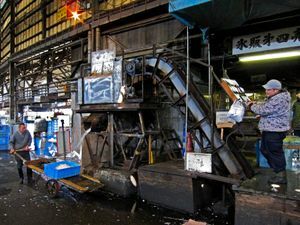 Every day more than 1,600 tonnes of seafood worth about 1.6 billion yen pass through this 80 years old market where auctioneers, wholesalers, retailers and consumers come together. 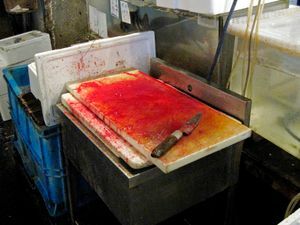 This will soon be history however. 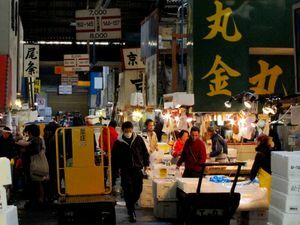 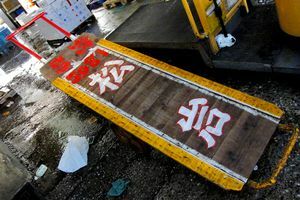 For several years the market is planned to be relocated to an artificial island near Tokyo harbor because of the market’s age and the urgent construction of new road junctions for the Olympic games in 2020. 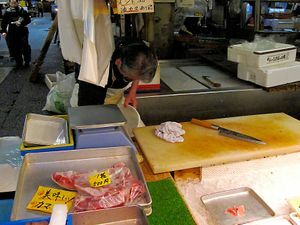 In anticipation of the relocation the number of stalls is already diminishing. 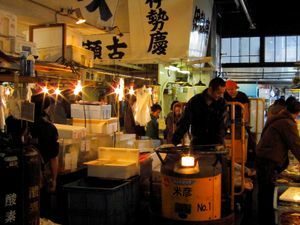 I photographed Tsukiji when the market was still in full swing, in the spring of 2012 at dawn from 6 a.m. 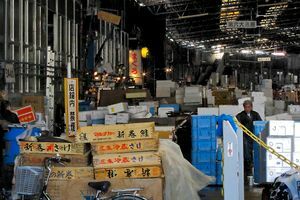 Most impressing is the sheer extent of the place crammed with goods, people and vehicles. 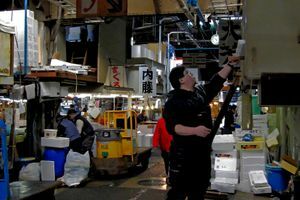 The feverish activity going on in the huge halls under countless light bulbs is overwhelming. 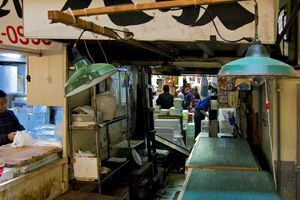 All the time you feel chased by hectic traffic, a mixture of antique barrows and electric lorries hurrying through the narrow aisles between the stalls. 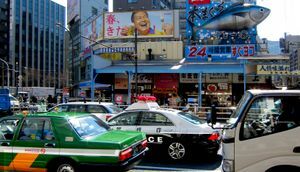 As everywhere else in Japan, tradition and modernity function seamless side by side here. 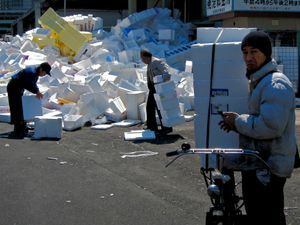 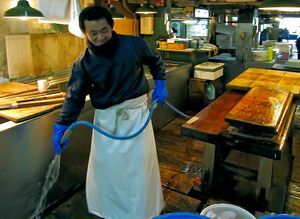 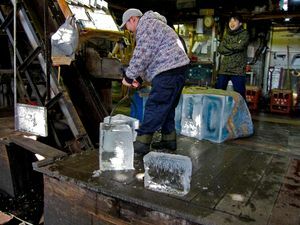 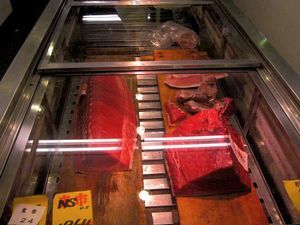 All around fish is kept cool by polystyrene boxes, but also by pulverized ice streaming out of a huge antique mill operated by only one lad who grinds the big cubes for everyone who hands him a ticket. 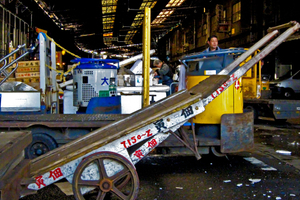 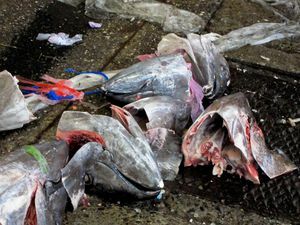 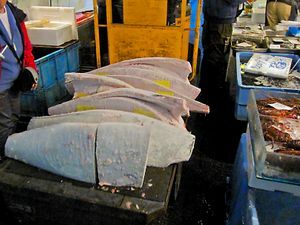 By giving up Tsukiji Tokyo says goodbye to one of its most unique attractions.